In a large bowl add the marinated fresh mozzarella, 1/2 the red peppers, 1/2 the cucumbers, 1/2 the cheeses and meats, 1/2 the peppers, 1/2 the onion. Toss well to coat in the marinated fresh mozzarella oil. Add 2 t salt, 1 T pepper, 2 T olive oil, 1 T dried basil, toss well to coat. You do not want the pasta to be swimming in a dressing, only a light coating of dressing makes this salad great. Top with the mild pepper rings. 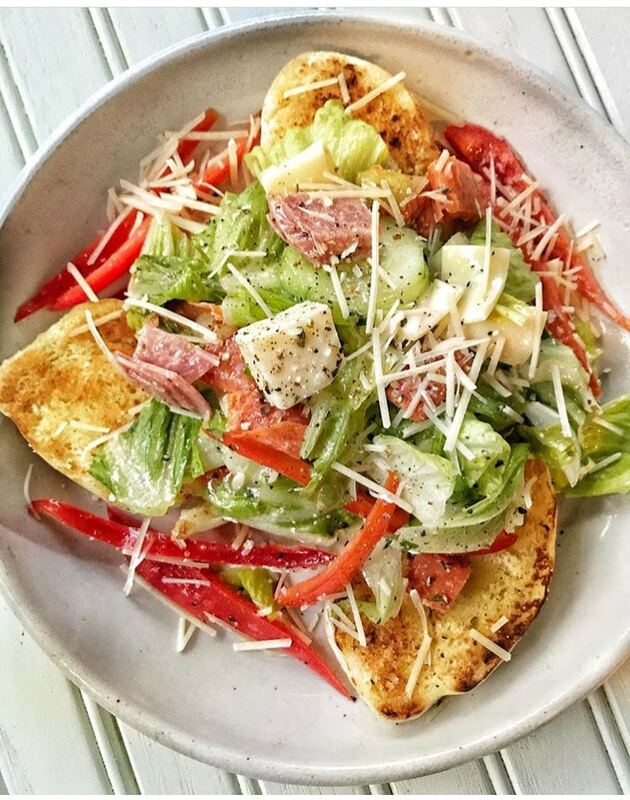 Place salad on top of toasted bread dumplings.